So our customers can buy from us with peace of mind, we asked the British Board of Agrement (BBA) – a lead body that approves and certifies manufacturer’s products – to assess and approve our system. To guarantee the longevity of your aluminium conservatory, we build it to specification using U-Design software – a unique program that uses each customer’s postcode to factor in snow and wind loading. To streamline the installation process for your aluminium conservatory roof – and keep disruption within your home to a minimum – we pre-fabricate the Quantal roof off-site as far as possible. 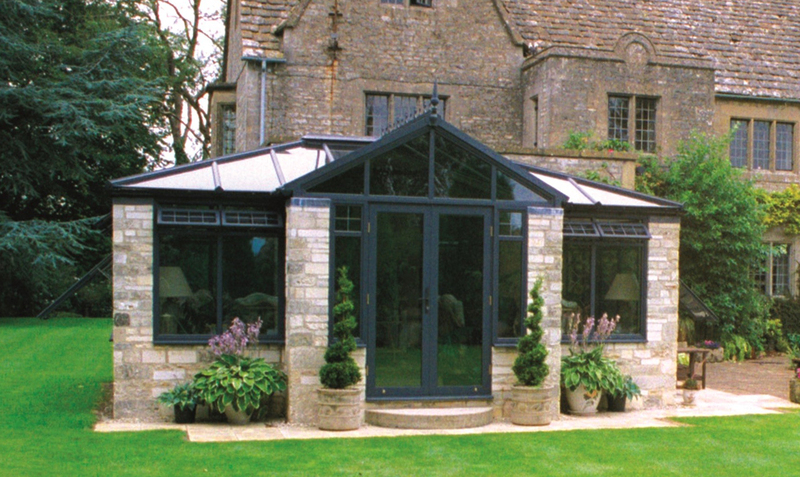 Quantal is an ideal choice for an aluminium conservatory, its slender frames offering a more elegant look than other materials such as uPVC and wood. The versatile construction system allows virtually endless design options, while the wide range of finishes and on-trend colours mean your finished conservatory can perfectly complement or contrast with the rest of your home.